July marks the beginning of Harbor Seal pupping season. Pups are weaned in 4 to 6 weeks and are then on their own to find food and survive without help from mom. This a hard time for pups as they will not become efficient hunters for about a month after weaning. Pups will lose weight and about 50% will not survive. During this period it is especially important that pups have a safe place to rest...away from disturbances that would force them back into the water. 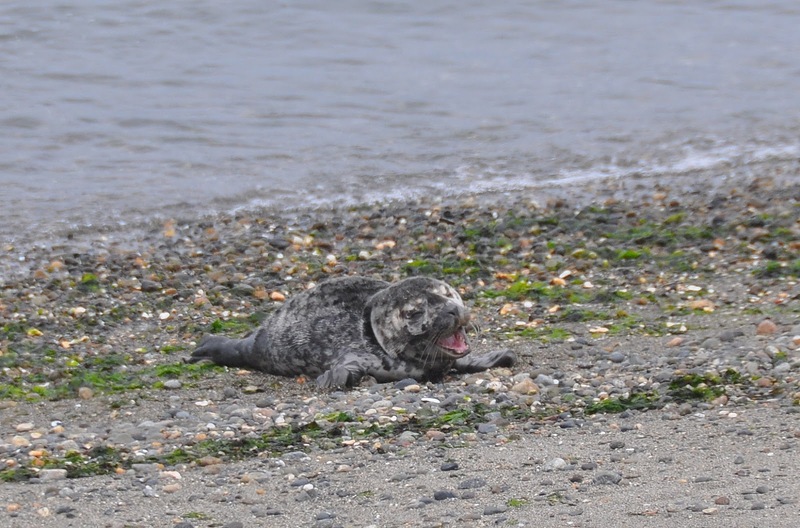 On Alki beach pups are especially vulnerable to human and K9 disturbance. 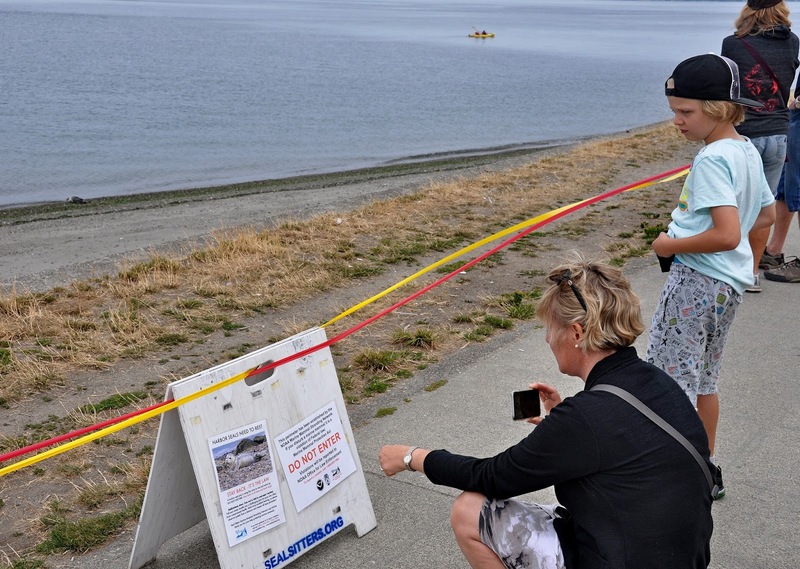 Seal Sitters (a part of the Marine Mammal Stranding Network) staff monitors pups, sets up barriers to keep people at a respectful distance and provides education to those who see the pups on the beach. 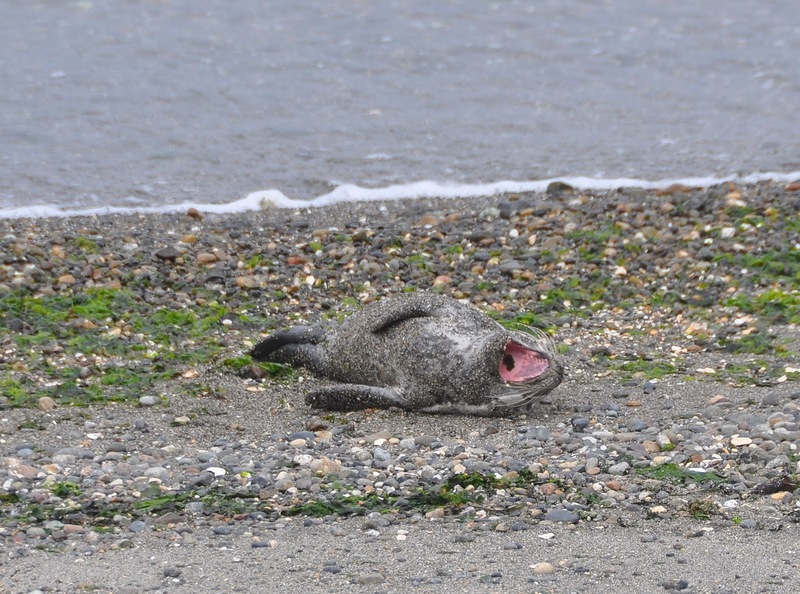 It is illegal to disturb a resting seal...pup or adult as these animals are protected under the Marine Mammal Protection Act. 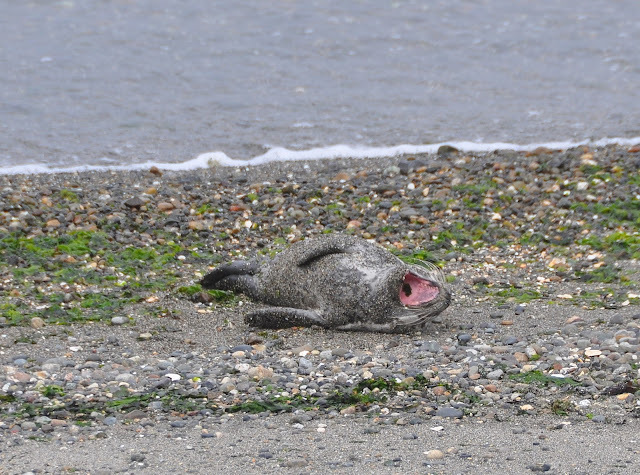 Causing a seal to change its normal behavior can result in a hefty fine....and possible jail time. On July 22nd a pup came ashore at Alki Beach Park and used the beach as a resting location for the next 4 days. Seal Sitters monitored the seal's health and set up barriers as well as providing information for the passing public. The pup was determined, by WDFW biologist, to be about 2 to 4 weeks old (estimated). 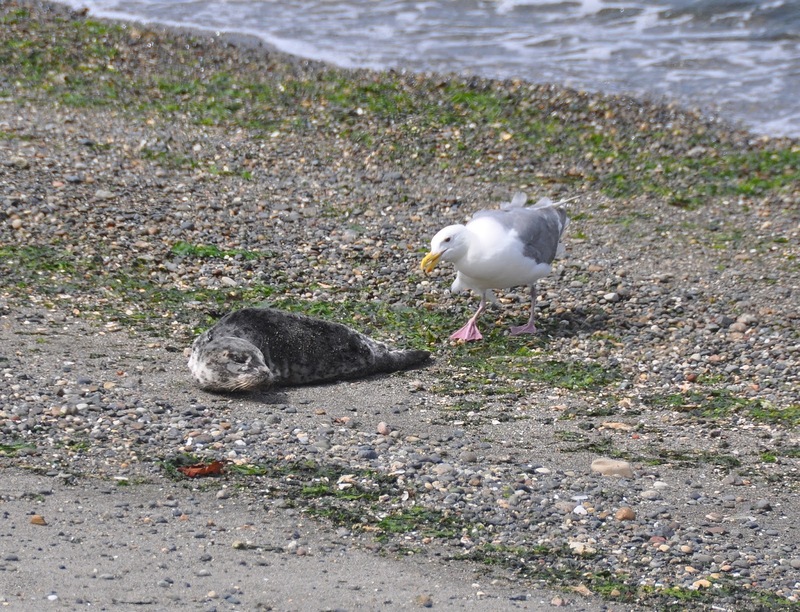 It was determined that its location on the busy Alki beach was not in the pups best interest from a health standpoint. 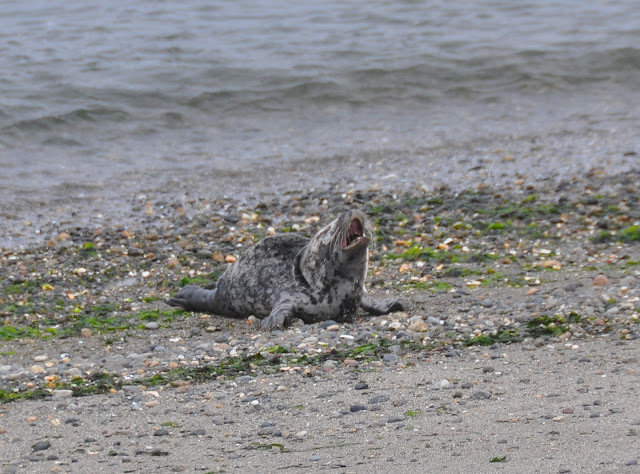 The pup appeared to be underweight and likely not feeding properly during its time in the water. Seal Sitters staff and volunteers, under the direction of WDFW biologist, captured the pup for relocation by WDFW to a location remote from human interaction and in proximity to a large group of other seals. Hopefully this will give the pup a better chance of surviving the difficulties of the first few months of life. 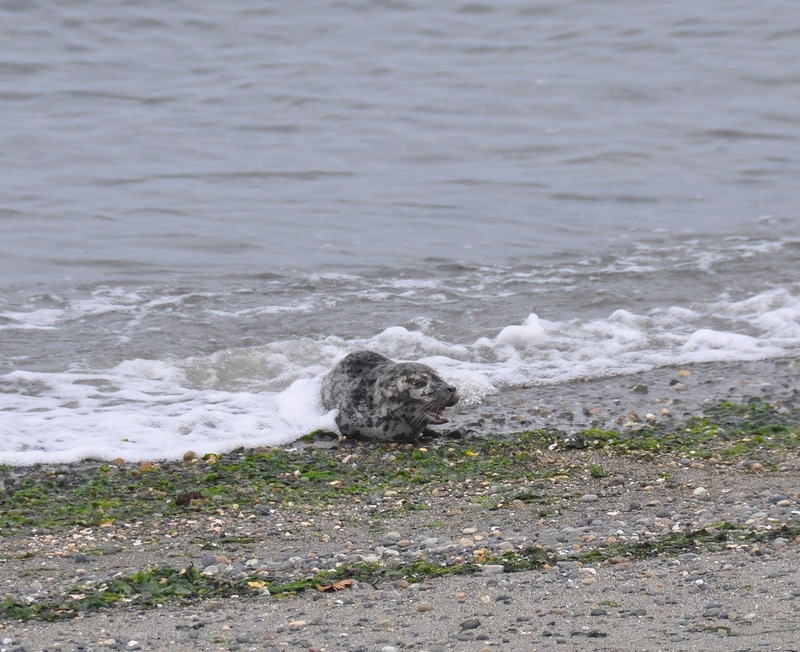 Only personnel authorized by NOAA to perform interventions of this type can in any way attempt for rescue a marine mammal, move it, feed it or in any way alter its behavior. Please keep well back of any marine mammal on the beach. 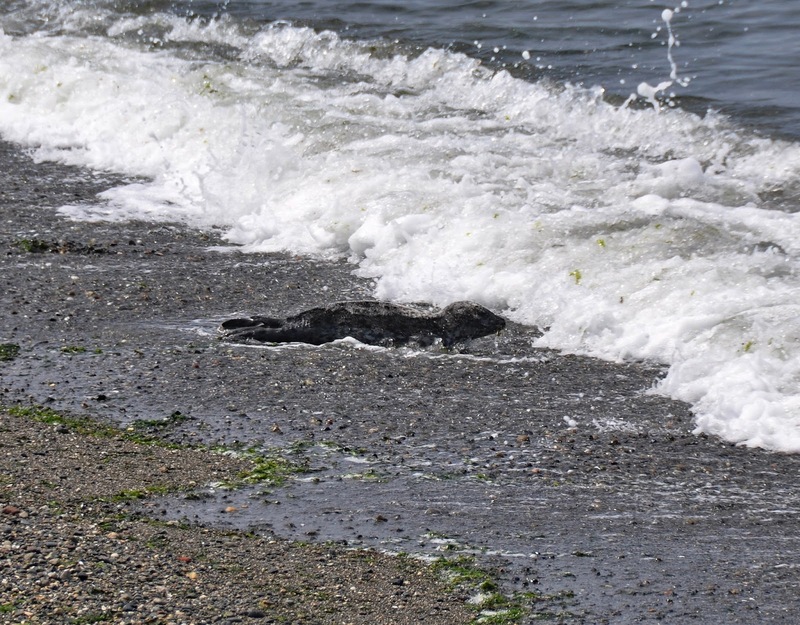 Dogs are not allowed on any Seattle Parks beaches at any time leashed or unleashed. Maximum fine is $500 for any infraction. If you see any marine mammal on the beach in West Seattle please contact Seal Sitters at 206-905 SEAL.